Europe’s transition to a low–carbon society is becoming the new reality on the ground. The Energy Union, one of the ten priorities of this Commission, is creating new jobs, growth and opportunities for investment. Last year’s Clean Energy Package for All Europeans and the proposals on low–emission mobility presented in November 2017 were major milestones in this process. 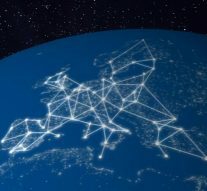 Less than three years since the publication of the Energy Union Framework Strategy, the Commission has presented nearly all the proposals needed to deliver on the energy efficiency first principle, to support the EU global leadership in climate action and renewable energy and to provide a fair deal for energy consumers. Energy underpins our economy and society. European citizens need warm homes, functioning infrastructure, and thriving businesses and industry. Unexpected disruptions can have both economic and social costs. As a result, energy security has become a key theme in the EU’s Energy Union strategy. As the European Union strives to reach its climate and energy targets for 2020 and beyond, the nature of the energy security challenge is changing. There are significant uncertainties surrounding the EU energy system, around future demand, demand profiles and flexibility, as well as the impact of new technologies and the location of generation. As European policies make the economy more energy–efficient and electricity–based, the integration of energy systems and the reliability of renewable energy sources become more important in the system. Energy security is often quoted as the reason for new infrastructure projects. Most energy related infrastructure investments are capital–heavy and long–lived (40 years and more), which means infrastructure built today will be part of EU energy system in 2050. Any assessment of energy security and infrastructure investments should, therefore, take into account the long–term energy trends and climate goals and have deep decarbonizaton at its core. Thanks to progress in 2017, the EU is on track to implement the Energy Union project and deliver jobs, growth and investments. The Commission has tabled most of the legislative proposals necessary to provide a predictable regulatory framework, and enabling actions are being put in place to accelerate public and private investment and support a socially fair clean energy transition. However, further efforts are urgently required to ensure the completion of the Energy Union by the end of the current Commission’s mandate in 2019. Therefore, there has to be real progress in adopting the legislative framework, implementing the enabling framework and securing the involvement of all parts of society. In line with the Joint Declaration on legislative priorities, discussions in and between the European Parliament and the Council need to come to a successful conclusion rapidly. The co-legislators have already adopted a Decision on information exchange on intergovernmental agreements between Member States and third countries in the field of energy and a Regulation concerning measures to safeguard the security of gas supply, ensuring better cross–border cooperation and more solidarity in case of crisis. The Commission encourages the co-legislators to maintain the overall coherence among the remaining legislative proposals and to keep the ambition high, so that the EU consolidates its leadership role in the clean energy transition, in particular on governance, renewables, climate action, energy efficiency and clean energy innovation. This will enable the EU – as part of the 2018 Facilitative Dialogue – to make real progress on its commitments under the Paris Agreement and deliver on the high expectations of Europe’s citizens for a clean energy transition. Promoting investment in innovative urban projects, within the overall context of the EU Urban Agenda, will be a priority in 2018. The Commission is committed to work with pioneering cities and regions to support cross-sectoral, innovative projects that can serve as testbeds for new business models and applied technologies. Such innovative projects should be replicated across Europe and globally. The upcoming San Francisco climate summit of non-State actors in September 2018 is a good opportunity to showcase European leadership in clean energy innovation and the leading role Europe’s cities play in it. The Energy Union will only be successful if all segments of society come together and move in the same direction, as some pioneers have already shown. In the 2nd Energy Union Tour, Vice-President Šefčovič has so far visited the majority of Member States, discussing with governments and national stakeholders the state of implementation of the Energy Union. Meetings with young people, citizens affected by the energy transition, inventors, social partners and civil society, mayors and other politicians provide positive examples of how the energy transition is achievable in practice. The Commission has announced to continue to secure the participation of all levels of society, young people in particular, and create stronger connections between European, national and local efforts. It will provide opportunities to launch a transparent and constructive dialogue among all concerned parties on the draft integrated national energy and climate plans, delivered by the Member States in early 2018. The Commission will carefully assess these draft plans and report back in its next report on the State of the Energy Union. The Energy Union project has reached a critical juncture: 2018 is bringing important deliverables. The Commission is likely to call on co-legislators to redouble their efforts to reach swift agreement on the legislative proposals. The Commission will do its utmost to facilitate an ambitious and timely outcome in terms of Member states stepping up their work on their integrated national energy and climate plans in order to create predictability for investors. The Member States will have to submit draft plans in time in order to enable the EU to continue demonstrating leadership. While the short term future is already determined by the Commission commitment, we hope that even the Commissioners nominated in 2019 will continue on the same path.